Good For Trade is something you should read. 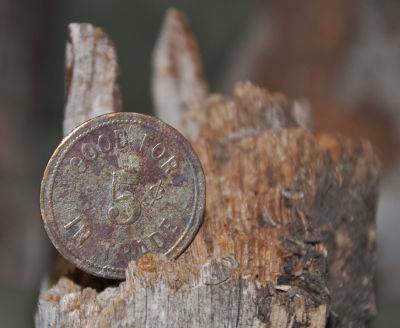 Good For 5 Cents In Trade token from South Dakota Civilian Conservation Corps Company 2755. 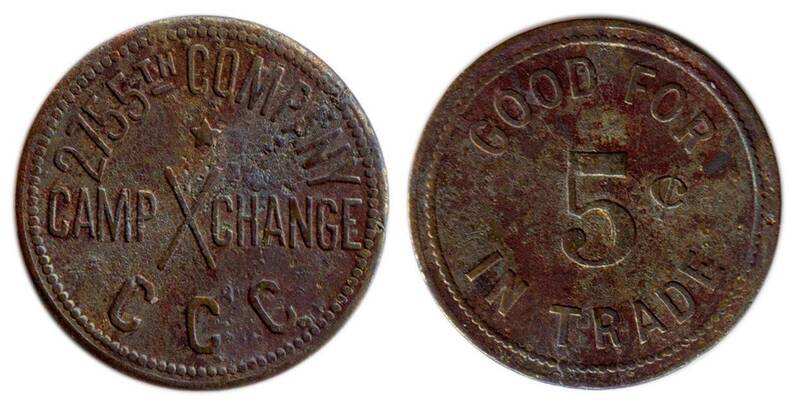 The coin could be traded for items at the CCC camp exchange. The actual size is about that of a nickel and is part of the displays at the CCC Museum of South Dakota in Hill City, SD. It was issued to men in Company 2755. 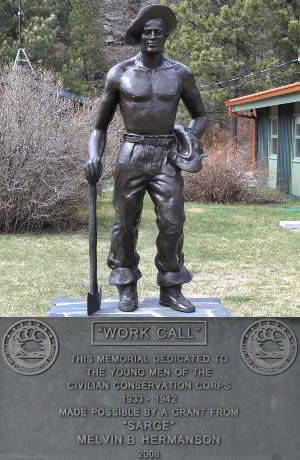 That company was at both Camp Lodge and Camp Pine Creek at different times. Good for 5 cents in trade.